The use of hypnosis for weight control is about changing the relationship and attitude towards food and having control what is eaten so the desired shape and size can be attained it is not about a Diet of which the first three letters should put people off. Unlike diets that are goal driven one of the benefits of hypnosis treatments people can still eat what they like and lose weight. Drew Walster is a Licensed Hypnoslimmer Consultant – specialising in this hypnosis for weight loss procedure and are dedicated in helping you become your desired shape and size in a safe and natural way. 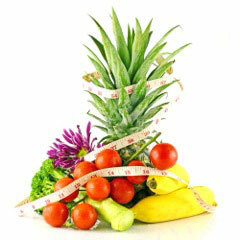 Hypnoslimmer are specialists in weight loss hypnosis and hypnotherapy for gastric bands. Every day, more and more people are now reaping the benefits and rewards of weight loss hypnosis. Hypnosis for weight loss is safe, efficient and extremely effective, and losing weight with hypnosis is simple and easy. Hypnosis for weight loss can help you to return to the shape and size that you should be in a safe and natural way. Hypnoslimmer are currently the market leader in weight loss hypnosis and are pioneering this amazing new mind technology utilising the immense power of hypnotherapy for weight loss. If you are really committed to losing weight then gastric band hypnotherapy will help you to achieve your goals. Designed for those with a BMI over 30 Gastric Band Hypnotherapy is a safe, risk free and cost effective alternative to traditional Gastric Band Surgery. It does not matter if you feel you have no confidence to lose weight or you have no will power or you have failed to lose weight, Hypnoslimmer can help you to have a slimmer figure by using various hypnotherapy methods including Virtual Gastric Band Hypnosis, Virtual Gastric Band Hypnotherapy and Weight loss hypnosis. If you want to Lose Weight With Hypnotherapy and want to take that first step in using Hypnosis for Weight loss then call us to make an appointment for a free consultation at our clinic in Burton on Trent. The Balance Clinic based in Tatenhill, just outside Burton Upon Trent offers Acupuncture & Hypnotherapy treatments alongside other complementary treatments.